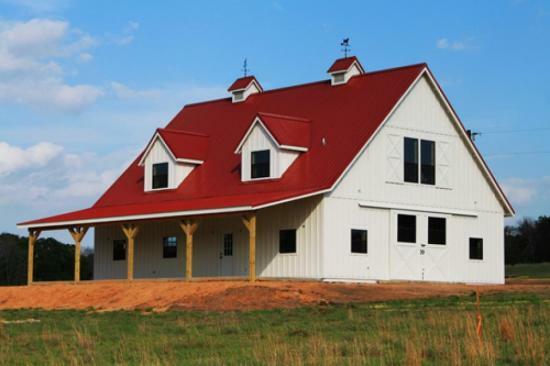 This pole barn home, brought to you by Barns & Buildings, is the perfect choice for a family who wants to live a stress-free country lifestyle. People nowadays are heavily influenced by technology. We are living in a digital world, so they say. Living in a home like this would be the perfect break from all of it. If you want to experience fresh air and listen to the soothing sounds of nature all day long, there is no other home that can give you all this. Witness the sunshine greeting you each day and the night sky filled with twinkling stars. When the photos were taken, only the exterior of the house is completely finished. The interiors of the house are not yet featured but you can already see how it is going to look like. 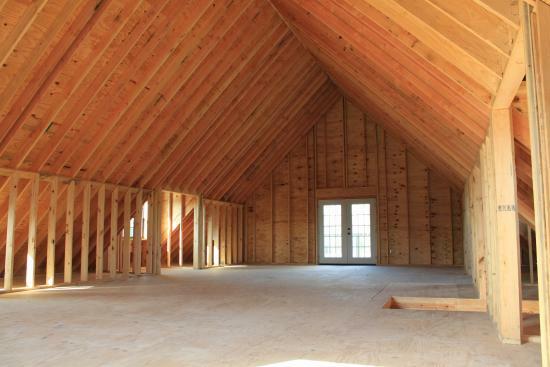 It would hold living quarters, a spacious attic and a beautiful staircase. 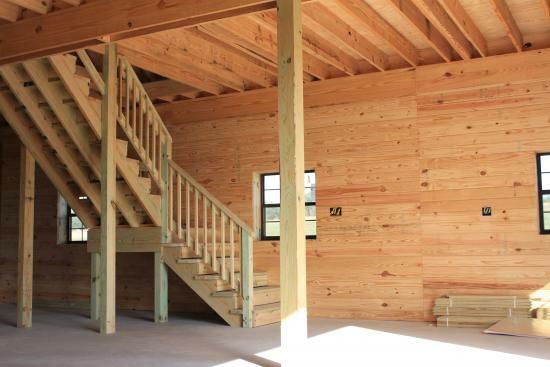 It is also constructed with wooden panels that are already visually appealing even without the paint job. 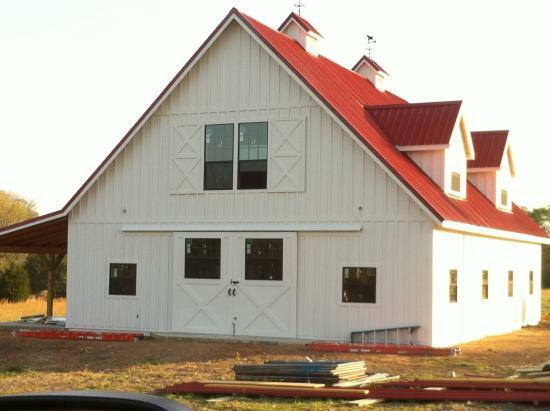 Five Y-shaped poles support the roof of the barn home’s porch. 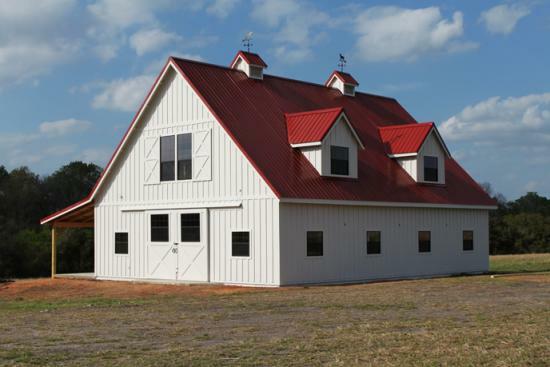 The barn itself has a tidy and well-planned structure that can certainly store a large volume of hay, grain, or straws and can house a bunch of livestock. Steel frames will look good with this house design. Apart from adding a spice of style, it most importantly doubles its durability and might. You can also consider using metal sidings to make it better. 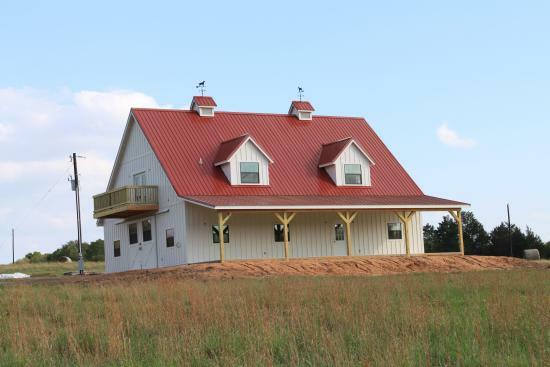 For those who want a dual-purpose home, this is definitely one of the wisest choices. Stats: 1,824 sq. 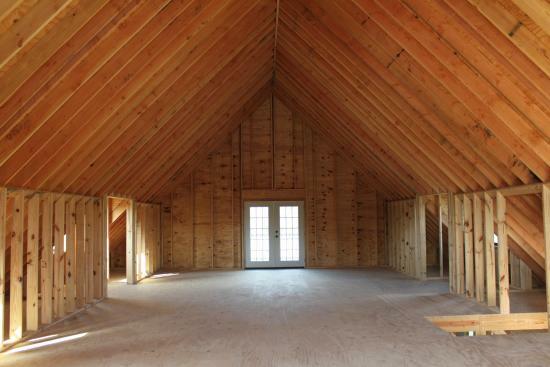 feet (36 x 48), 3 bedrooms, 2 bathrooms, open plan kitchen, living room, barn. The color combination surely fits the entire beauty and function. This view could bring you a nostalgic flair of the rustic air.